Check out this great deal at Macy's. During their Black Friday door busters going on now you can grab great kitchen items for ONLY $7.99 AFTER $12 mail in rebate! 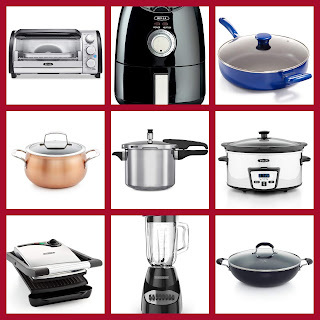 Sale Includes an air fryer, Skillets, Pots, Grills, slow cooker, and more! These would make great cheap Christmas gifts or a great time to replace older ones.